What Does Unlimited Web Hosting Mean? Unlimited web hosting plans have become, more or less, a standard offer in the hosting industry. Providers advertise unlimited plans, usually in reference to bandwidth and disk space. However, like most things that are marketed as "unlimited", there's, more often than not, some kind of catch (hint: it's in the fine print). For example, if you go to an all you can eat buffet, you can stuff yourself to your heart's content, but at some point you're going to get full (or the restaurant's going to close for the night and kick you out). The same theory applies to unlimited hosting plans. 99% of users lumped onto a shared server won't use up more than the average amount of space and bandwidth, but what happens to those of us who will need, and use up, more than what the hosting provider deems is the "fair share" of the server's resources? How Does Unlimited Hosting Work? 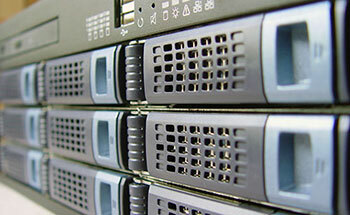 The majority of unlimited hosting plans use a shared hosting system. Shared hosting lumps many users, and their websites, onto a single server and creates sections, so each user gets some piece of the server. Shared hosting is cost effective and, generally, the most economical form of hosting. It's a win-win scenario for most users. An average website will only use a small amount of bandwidth and disk space; however, if multiple websites on your server start dramatically increasing their traffic and bandwidth consumption, then there could be a problem for all parties involved. Say you, or someone else on your server, is running a video streaming site. These types of sites use a massive amount of disk space to upload and host videos, and a large amount bandwidth to stream them to their visitors. These sites will be the resource hogs of an unlimited shared hosting server and will be the most likely to be targeted by hosting providers as resource usage offenders. What Happens If You're Using Too Much Bandwidth and/or Disk Space? While providers may advertise "unlimited" hosting, more specific conditions will, more often than not, be specified in the Terms of Services agreement. If you're hosting a site that is hogging much of the bandwidth on a shared server (like a video streaming site), then your provider will not be okay with that; since, it will affect other websites on the server. 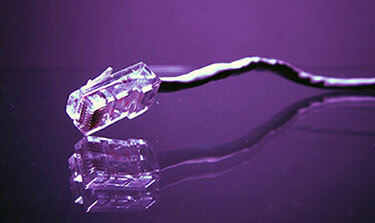 You will likely be hearing from your provider via email, stating that you need to reduce your bandwidth consumption (or upgrade your plan), or face a possible account suspension or a halting of service. Some providers will actually go as far as to forgo notification of resource usage, and disable your site, as well as, lock you out of hosting account and files. This might seem harsh, but if it is stated in the Terms of Service, then it is completely legal for the provider to do so. Avoid the possibility of account suspension and lockout, by reviewing the Terms of Service if you choose to go with an unlimited plan. How Can You Avoid Repercussions For Your Site? Read over the features of the plan, and, most importantly, any Terms of Service agreements that apply to the hosting plan you're considering. The Terms of Service is the area where most people, who inadvertently violate hosting conditions, will fall victim. If an unlimited plan sounds too good to be true, then there's probably a catch - unlimited anything almost always has some self-imposed limit. If you're setting up a site for the first time, if may be difficult to evaluate what kind of disk space and bandwidth you might need. If the site is going to be something that stores many large files (photos, video) or stream to users (video streaming), then you might want to reconsider pursuing the cheapest unlimited hosting plan. In any case, it's always a smart idea to have flexibility with your hosting plan by getting a plan that allows your site room to grow. As Much As You Need, referred to as AMAYN, is a feature included in all of Webnames.ca's hosting plans. So, how does it work? The As Much As You Need hosting feature allows you to request additional disk space and bandwidth based on your needs. Simply send a request to our friendly and knowledgeable support team. The support team will review your request and, once approved, you will receive your additional resources. As Much As You Need hosting offers flexibility and gives your site room to grow. Another major advantage of Webnames hosting is how resources are allocated to each user. We partition our servers equally. When someone signs up for a hosting plan, they get their own, defined section of a server that is dedicated entirely to them, and them only. Unlike other shared hosting plans, where resources can be a free-for-all, you will never be affected by the performance of another website. You can think of server partitioning like the slices of a pizza. Like a pizza, the server is divided into equal slices, so that each person gets an equal amount of the server that no one else can affect. Other hosts don't partition their servers, so if you happen to be unlucky enough to be hosted on the same server as a resource hog (like a video streaming site), then your website's performance will be negatively impacted. This is not the case with Webnames, your website will never be affected by our other client's sites. Also, email accounts are hosted on different servers, so if either (your website or email) happened to go down, the other would not be affected. Learn more about As Much As You Need hosting plans, as well as other great included features, and find out how Webnames.ca can help you grow your business.